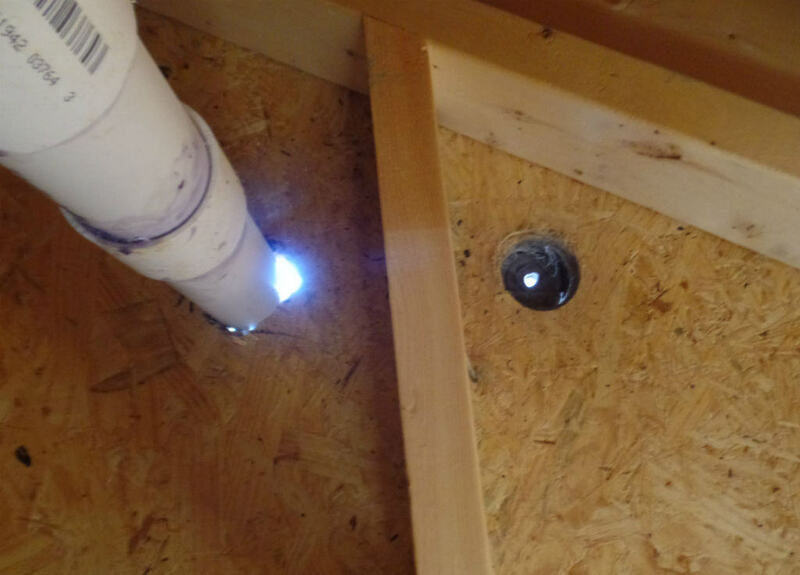 Holes to the outside that are not properly covered or flashed can provide entrance for water and pests. Water entry into the home can cause decay, weakening structural components and creating unsanitary conditions due to fungal growth. This vent penetration through the roof appears to have a missing or damaged vent boot on the roof. The other hole penetrates the roof sheathing and a smaller hole penetrates the shingle. Neither could be observed from the roof as it was inaccessible. A roofing contractor should evaluate and repair.